We opened our 15th season keenly aware of our history. With our 15th Anniversary celebration in the planning stages, we chose to take a page from our past (2006) in the old Caviler Annex, and reprise the American, Pulitzer Prize winning, comedy classic, “You Can’t Take It With You.” A cast of 19 adults brought this amazing production to life and we were delighted to have four of our original cast members returning from our first production. It played to full houses and rave reviews. An added treat was our show happened to be running concurrent with “You Can’t Take It With You” on Broadway, and the two casts exchanged numerous celebratory tweets with each other. In February, the Pelican Playhouse celebrated 15 years of dramatically enriching the River Cities area. We were proud to receive not one, but two, proclamations. One from Mayor Zavier Garcia and City of Miami Springs, and the other from District Six Commissioner, Rebeca Sosa, and Miami-Dade County, both proclaiming February 21st 2015 as “Pelican Playhouse Day.” A packed house celebrated with us as we reviewed the past 15 years of unforgettable, live theater with a theatrical costume parade, videos, photos, and honors for the over forty volunteers for proving the old adage, “It takes a village to make a theater.” Special recognition was paid to our amazing costumer, Ms. Dee Deringer Piquette, with a life time achievement award. She has been with us since our inception and never fails to dazzle us with her unique costumes. To me, and my theater manager wife, Nancy Jones, nothing that evening was quite as jaw-dropping as watching the names of more than 530 past and present Pelicans scroll by. When you are having this much fun, time doesn’t fly it rockets! While “You Can’t Take It With You” was an all-adult cast, our Spring production brought out our youth in force as we shoved off with “Jolly Roger and the Pirate Queen.” A cast of eleven adults were joined by twenty one children between the ages of eight and sixteen to put on the swashbuckling comedy. The inter-generational interaction fostered by the mixing of the “ages” continues to be my favorite part of the Pelican Playhouse. From the adults: patience and wisdom. From the youth: enthusiasm and wonder. Bond them together and you have magic. Our Pelican flock continued to break records this summer as forty-four actors, singers, and dancers of all ages, turned out to participate in our Summer Recital, breaking last year’s record of forty-one. This summer’s blockbuster of theatrical delights includes scenes from “Alice in Wonderland,” “Tom Sawyer,” “Monty Python,” “Shel Silverstein,” and eight musical numbers from Broadway’s best. 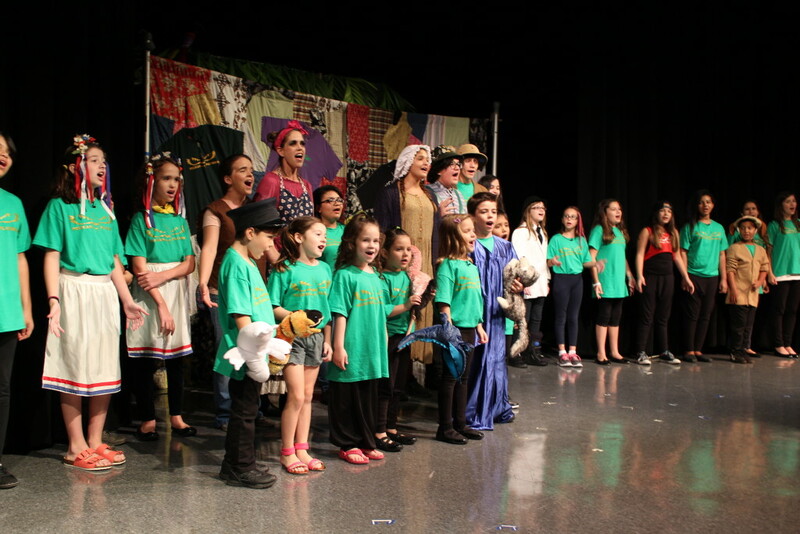 “Oliver,” “Damn Yankees.” “Sweeny Todd,” “Sound of Music,” “Le Miserable,” “Pirates of Penzance” and “Annie.” Closing the 2nd Act will be a surprise blast from TV’s past. If you were around for the sixties you will have seen this show! As always, the Pelican Playhouse promenaded patriotically, participating in our Miami Springs 4th of July parade. As you can see, I still love alliteration. The years are taking a toll on our equipment and we repaired both our sound board and upgraded our light board with a new “Window’s 7 mother board to the tune of $1600. Social media continues to be a part of our outreach and we watched our Facebook “likes” climb to 370, and our “Mail Chimp,” emails list exceed 700 individuals. In addition, the City continued to partner with Miami Springs Service Organizations by providing free theater space usage. The Rotary Club sponsored “The Spitfire Grill” for eight days of theater rental, a donation of over $2000. The theater was also utilized by the Jr. Orange Bowl, VG/MS Soccer Coaches certification, the Miami Springs Candidates Forum, Little League Baseball pictures, the Miami Dade County Mom & Pop Small Business seminar, the Police Appreciation Dinner, the Miami Dade County Public Schools Anit-Bully night, the Miami Springs Recreation Center Summer Camp, and just recently the International Music Festival sponsored by the Poinciana United Methodist Church. Also utilizing the theater this year was the United States Secret Service, but I’m afraid I can’t tell you anything more about that or I would have to kill you. Suffice to say, the Rebeca Sosa Theater is a very busy place. During the year we also continued to partner with “Creative Living’ a homeless reintegration program sponsored by the Miami Rescue Mission, and the Miami Springs Mu Alpha Theta math club to run our intermission concessions and raise funds for their numerous sojourns to math competitions.